Local shops have controlled the sale of bottled water due to decline in bottled water supply. 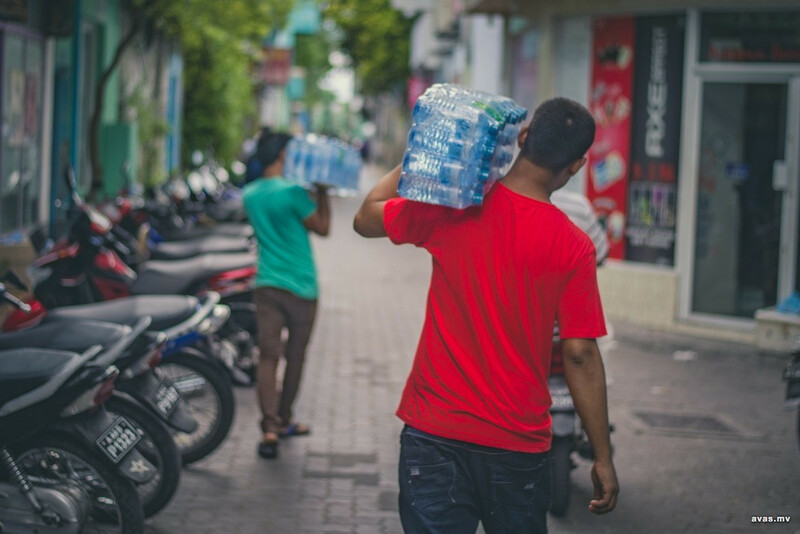 Due to the scorching heat experienced recently, the demand for water has increased in the past few days. This has been a recurring issue every year during March and April. Local shops have been experiencing difficulties in obtaining enough supply of water to meet the demand for the past two or three day, where most shops no longer have availability of 5 litre bottled water. As a result, the sale of 1.5 litre and 500mL bottled water has been controlled, where only a limited amount is sold to each customer. Some shop have allocated specific times throughout the day for the sale of water. "These days, there are difficulties in supplying water. Most days, we are able to procure less than 10 bottles of 5L. Procuring 1.5L bottles is also difficult due to some people purchasing water in bulk. In order to cater to everyone, we are now selling only a specific amount to each customer", said a shopkeeper. We have been unable to obtain comment from the companies that manufacture bottled water. According to sources, bottled water manufactured by national water company MWSC, 'TaZa' has also been in decline, as well as 'Life' brand water which is manufactured by a private company. Health Protection Agency (HPA) has warned citizens to be vary of the hot weather and to keep hydrated. The country is experiencing such heat as no rain has been experienced in a while. The country will be performing a prayer asking for rain on Monday.